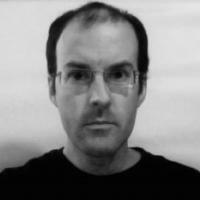 Alex Clark is a Python Web Developer from Baltimore, Maryland, USA living in Bethesda, Maryland. He has a Bachelor of Science in Computer Science from Loyola University in Maryland and has worked as a Network Engineer, Software Engineer, Systems Administrator and Technical Team Leader since May, 1998. He is also the President of DC Python, a non-profit organization he co-founded to promote and support the use of Python software in DC. Provide Python-based web development services to global community with strong local presence. Manage and maintain complex IT infrastructure with Amazon Web Services (AWS), CloudFlare, Rackspace Cloud, etc. Write articles on technical subjects, publish to professional blog: http://blog.aclark.net. Foster growth of small business from one part-time employee to two full-time employees with sub-contractors over ten years. Assist with creation of limited liability corporation (LLC) in 2005 to facilitate business partnership. Register trade name in 2004 with State of Maryland for sole proprietorship doing business as aclark.net. Provide mission-critical production operations support. Provide research services to NIH research community. Manage and maintain computers, software and related items for scientific core facility. Manage and maintain NetApp storage system featuring dual FAS-3240 and FAS-2240 controllers, SnapMirror and 200T data across 8 volumes, shared via NFS & CIFS, authenticated and authorized via NIH Windows domain controller. Manage and maintain Dell VMWare server with 11 virtual machines, each with 32G RAM & 8G disk, primarily used by researchers to perform data analyses with MATLAB software. Install and configure Ubuntu Linux, CentOS Linux, Apple macOS Unix and Microsoft Windows workstations and servers. Produce and maintain professional documentation with Sphinx software containing facility usage instructions and systems documentation. Research and purchase computers, software and related items through complex government purchasing system. Frequently surplus broken or unused computers and other items to effectively manage severe physical space limitations. Frequently update property manager with ownership and location status of accountable property for entry in NIMH property database. Provide desktop and mission-critical production operations support. Provided research services to NIH research community. Managed and maintained computers, software and related items for scientific core facility. Installed and configured Debian Linux, Fedora Core Linux, Redhat Linux, Apple OS X Unix and Microsoft Windows workstations and servers. Installed, configured and maintained Apache web server, Plone content management system, ProFTPD FTP server, OpenLDAP directory services, CIFS & NFS file sharing services, CVS version control system, and Arkeia tape backups. Researched and recommended computers, software and related items for purchase through complex government purchasing system. Analyzed network and computer security. Analyzed network performance with MRTG software. Provided Plone content management system instruction to content editors. Provided desktop and mission-critical production operations support. Developed Perl and Expect software to support remote configuration of over 2,000 Cisco 2511 Access Servers, Equinox Terminal Servers, and Cisco Catalyst 1900/2820 Ethernet Switches. Developed Perl CGI software to support remote configuration of access servers with over 4 ingress T1 data lines via SNMP e.g. Cisco 5400, Lucent APX 8000, Nortel CVX 1800. Configured over 2,000 Cisco Access Servers, Equinox Terminal Servers and Cisco Catalyst Ethernet Switches. Installed and configured Debian Linux, Redhat Linux, Sun Microsystems Solaris Unix and Microsoft Windows workstations and servers. Configured Linux kernel modules to support myriad network interface cards. Researched and resolved complex network connectivity issues. Verified successful negotiation of TCP, PPP and L2TP protocols through dial-up connections between client programs and remote access servers. Performed maintenance on AOLnet and BBN Dialinx dial-up networks. Provided mission-critical production operations support. Managed and maintained 4 BSDI Unix servers for over 2,000 internet service provider customers. Installed, configured and maintained DNS, NFS, Sendmail, Apache, INND and Dump/Restore software. Installed and configured computers and software for streaming FM radio to the internet. Installed and configured BSDI Unix servers and Microsoft Windows workstations and servers. Installed and configured Sun Microsystems Solaris Unix, Slackware Linux, Redhat Linux and Microsoft Windows workstations and servers. Performed installation and maintenance of computers and software in labs, offices, and dormitories. Provided technical support to students, faculty, and administrators via telephone and on site. Forked popular Python Imaging Library (PIL) software to create frequently-updated and well-maintained version. Foster growth of core development team from single volunteer member to five volunteer members over five years. Write and submit grant proposal to fund Python 3 compatible version of Pillow; sent to Python Software Foundation February 28, 2013; passed unanimously on March 4, 2013. Implement and manage quarterly release schedule. Continuously oversee development to ensure best possible quality of releases. Maintain website for PRA to serve residents of Parkwood community in Bethesda, MD. Attend committee and resident meetings to participate in discussions about community issues. Vote in quorum to affect PRA decisions and actions. Co-founded 501(c)(3) non-profit organization to promote & support Python software in DC. President of Board of Directors. Envisioned, co-organized and co-hosted Plone Conference 2008 in DC; largest yearly gathering of Plone developers and community; first US/Eastern location since inaugural event in 2003. Continuously oversee events to ensure best possible quality of service to community. Vote in quorum to affect DC Python decisions and actions. "PythonPackages began in October 2011 as a fun way to provide useful information to the Python community. Since then hundreds of folks have visited the site to feature their favorite Python packages, for a total of over 10K packages featured. New features have come regularly, and some new features are waiting in the wings, about to be launched." "Manage your site like a Plone professional."